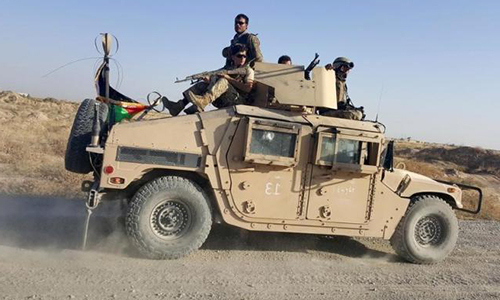 KABUL – The Afghan Taliban said they were withdrawing from the center of the northern city of Kunduz on Tuesday in order to protect civilians, emphasizing the pull-back was not a defeat. The Taliban have mounted a wave of attacks in the capital Kabul and beyond since the withdrawal of most foreign troops last year, culminating in the seizure of Kunduz in a carefully orchestrated offensive at the end of last month. Though the Taliban only controlled the city for three days, fighting between the militants and Afghan security forces continued for two weeks, driving tens of thousands of residents to seek safety in neighboring provinces. The Taliban, seeking to re-establish their hard-line Islamist regime after it was toppled by US-led military intervention in 2001, said their decision to move out of Kunduz city was not a sign of defeat. “We assure our people and the world that we are able to seize the city,” Taliban spokesman Zabihullah Mujahid said in a statement. Kunduz police chief Mohammad Qasim Jangalbagh said the city center had been cleared and residents were starting to return.